KABUL, Afghanistan, May 3, 2014 (ENS) – Landslides triggered by heavy rains crashed into an area of northeastern Afghanistan Friday, killing at least 350 people and causing widespread damage to homes and agriculture, according to a senior United Nations relief official in the country. A village in the mountainous Badakhshan province, which borders Tajikistan, has been buried in more than 300 feet of mud and rock. The slides have destroyed at least 300 homes and displaced more than 1,000 families, humanitarian workers report. Officials say the final death toll could be as high as 500 following Friday’s catastrophe. Hundreds more have been injured, and residents fear more land could slide down the mountainsides. Mark Bowden, the United Nations humanitarian coordinator in Afghanistan, said the UN is mobilizing support for the initial search and rescue effort. The UN says heavy rains in the Argo district of Badakhshan have loosened hillsides, sending land masses sliding down into populated areas, causing burying people and causing widespread damage to homes and agriculture. “On behalf of the UN humanitarian agencies, I wish to extend our condolences to all those families who have lost loved ones as a result of these landslides.” said Bowden. “There have now been more Afghans killed through natural disasters in the past seven days than all of 2013,” he said. President Hamid Karzai said he is “deeply saddened by the losses in life and property” caused by landslide in Aab Khoshk village of Argo district in Badakhshan province. He said a high-ranking government delegation would travel to the affected area. The Afghan Government’s Provincial Disaster Management Committee is leading the coordination of operational response within Badakhshan, with support from humanitarian agencies to respond to the immediate needs of the affected people. While search and rescue operations remain the immediate priority, damage assessments have begun. But the UN warns it will take time until a clear picture of the disaster emerges, because the narrow roads into the remote mountain area have been damaged. The Afghan military flew rescue teams to the search area on Saturday. NATO coalition troops are standing by to assist, but have not been asked for help by the Afghan government. U.S. President Barack Obama has also offered to send help. The British charity Oxfam and local partners are responding to urgent lifesaving needs and assessing ways to rebuild the slide-affected communities. “Beyond immediate humanitarian needs, the affected communities will need ongoing support to rebuild their lives and livelihoods in order to recover from this tragedy,” Watt said. 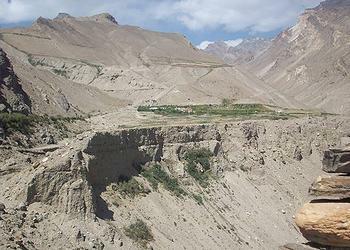 The remote eastern province of Badakhshan is called Afghanistan’s natural disaster capital. Located between China, Pakistan and Tajikistan, the province takes in the Hindu Kush and Pamir mountain ranges. The area is susceptible to recurring natural disasters, where seasonal rains and spring snow melt regularly result in life-threatening flash floods and landslides. On April 24-25, heavy rains resulted in flash floods that impacted 10 provinces of northern Afghanistan. Flood waters have destroyed homes, public infrastructure and roads. Thousands of hectares of agricultural land have been destroyed, reports the UN Office for the Coordination of Humanitarian Affairs. Provincial sources report 132 Afghans were killed in the floods, these numbers remain subject to verification. More than 39,000 Afghans have been affected by the floods to date and are in need of assistance; about 16,000 of these have been displaced. The most recent assessments indicate Jawzjan province as the worst hit, with over 27,000 people affected. Immediate humanitarian needs are for emergency shelter, food and clean water. The National Disaster Management Commission, supported by the international humanitarian community, regularly prepares contingency plans to help better prepare and respond to such disasters, as well as mitigate the impact.